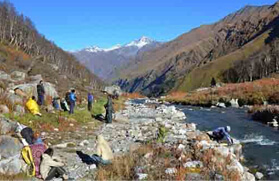 Chopta - Chandrashila Trek is one of the popular treks in the Garhwal Himalayas. 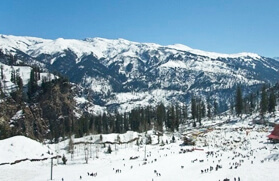 Trekking on this snow trek is a great way to find enjoyment and pleasure in the Indian Himalayas. 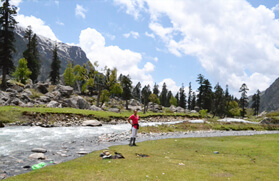 It is surely a heaven for passionate trekkers from across the globe. 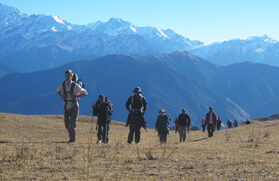 This trek offers impressive views of the Great Himalayas and rated as easy to moderate track. 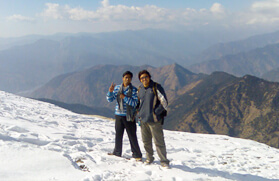 Chopta - Chandrashila Trek can be undertaken throughout the year, except for December & January due to heavy snowfall. Chandrashila is a rock face over the Tungnath temple. This temple is one of the highest located temples among all the temples in the Garhwal Himalayas. 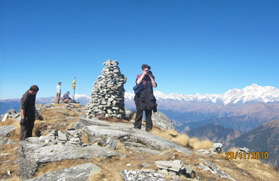 From Tungnath temple to Chandrashila, it is a short, but meticulous trek. 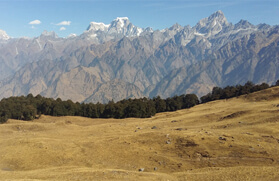 Located at a height of 4,000 m above sea level, Chandrashila offers a stunning view of Trisul, Nandadevi, Bandarpunch, Kedar Peak and Chaukhamba peak. Among Panch Kedar, Tungnath is one of the Kedar and holy place for Hindus. 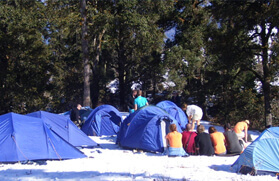 At Trekking in India, we offer an exclusive Snow View Trekking (Chopta - Chandrashila Trek) tour of eight days. Starting the journey from Delhi, we will take you to Haridwar. 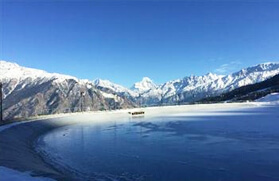 From here, we will take you to Ukhimath via Rishikesh, Devprayag and Rudraprayag. 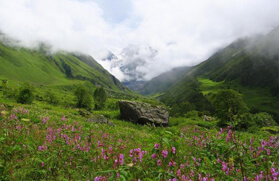 The next day, you will trek from Ukhimath to Deoriatal while passing through dense forest of Rhodendron and other varieties of wild flowers. 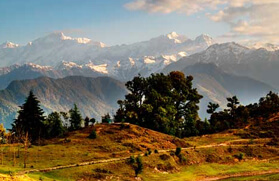 After enjoying trekking and an overnight stay in the camp, you will leave for Sari village and Chopta on the next day morning. 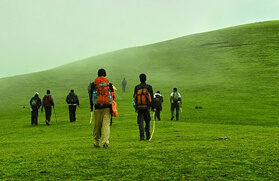 You will trek from Chopta to Tungnath on the next day and be back to Chopta for a night stay in tents. This trek will end at Haridwar - Delhi.